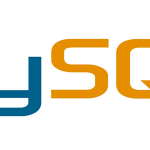 What is the MySQL Query Analyzer? What is the MySQL Enterprise Monitor? What are the MySQL Enterprise Monitor Advisor Rules? Why does converting tables from MyISAM to Innodb cause performance problems? What limitations are there when running MySQL on 32-bit operating system on 32-bit hardware? Why is a SELECT that uses CONCAT() so slow? How can I speed up bulk loading or repairing of MyISAM tables? How do I tune the MyISAM key buffer and InnoDB buffer pool in MySQL? Why is MySQL is using 100% of CPU resources? How can two threads use the same temporary table? I'm a software engineer with many years of experience, open source enthusiast, now I'm creating and contributing to awesome PHP web projects. I love coding as much as learning, and I enjoy trying new languages and patterns. My passion revolves around (but is not limited to) back-end development. Install Java JDK on CentOS? What is the Key Buffer?